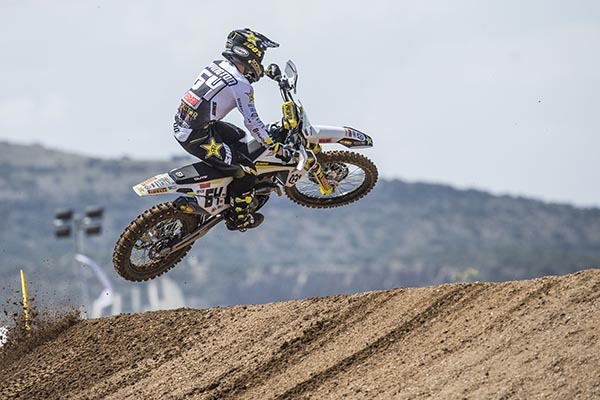 Coming close to securing MX2 class victory on more than one occasion this season, Rockstar Energy Husqvarna Factory Racing’s Thomas Covington has secured a deserved overall victory at the GP of Turkey. Earning his eighth podium result in 2018, Thomas Kjer-Olsen finished third overall in Afyonkarahisar. With the fast track suiting Covington well the Husqvarna FC 250 powered rider was a force to be reckoned with throughout the weekend in Turkey. Getting the holeshot in moto one, the American put the hammer down to secure victory in the opening moto in style. Claiming another holeshot in moto two, Thomas held the moto lead until a small mistake with two minutes left on the clock. Picking himself up, he crossed the line in third place to secure his first MX2 class overall victory for the season. The Husqvarna FC 250 is regularly hailed as the most advanced 250 4-stroke motocross bike available. The FC 250 is engineered to keep ahead of the field. Featuring a lightweight and compact motor, new PANKL gearbox and engine mapping, along with redesigned ergonomics, the FC 250 maintains a leading position in the 250 4-stroke class. Visit our showroom to give the Husqvarna FC 250 a closer inspection or call our experienced team to discuss all things Husky - genuine parts, bikes, accessories, clothing you name it, we’ve got it.